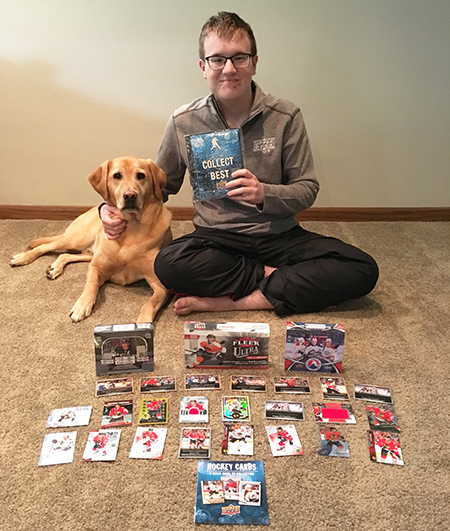 We’ve shared before some meaningful stories of how youth dealing with Autism and Asperger’s use trading cards to find their “happy place.” When 19-year-old Zach Sample reached out to us, we were happy to hear that collecting Upper Deck hockey cards had proven to provide a sense of happiness for him as well. Zach shows off some of his favorite cards along with his loyal dog. Zach had some really incredible thoughts to share on the hobby as well. Take a look! 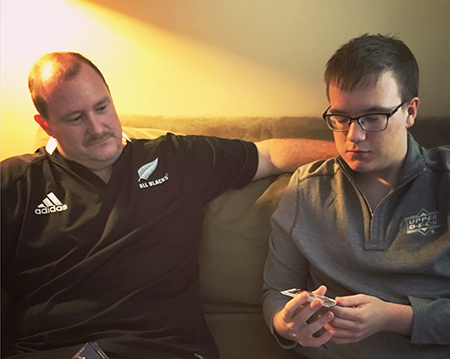 Collecting is a family affair between Zach and his dad Chuck. Zach has definitely succeeded in becoming a master collector and his father is very proud with all of Zach’s achievements! 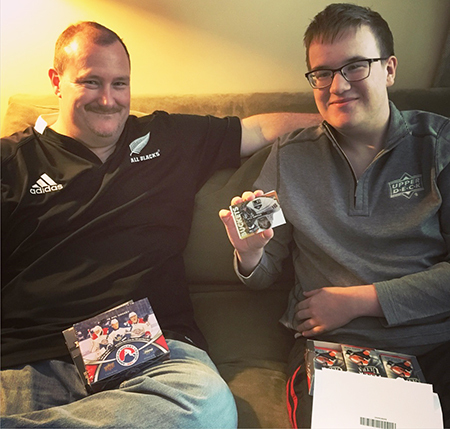 We loved hearing your story Zach and we look forward to seeing you and your dad at the 2017 National Sports Collectors Convention in Chicago! Thanks for your support!